Oceans may be far from land-locked Wisconsin, but the wonders are ever so close. Splash into a fascinating, briny world. You’ll sea and learn amazing things! — All sessions include indoor and outdoor time. Please bring appropriate outdoor clothing. — All sessions include a snack. 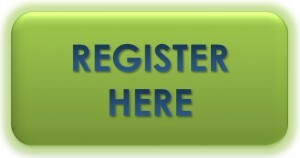 – For all sessions, registration deadline is 24 hours prior to the program. For more information or to register by phone, call 608-221-0404 x 1. Please call to inquire about space if planning to drop in or if less than 24 hours prior. — Siblings younger than age two are welcome to attend along with a paid registrant until he/she actively participates and/or consumes snack then he/she must be registered separately. Eggs, eggs and more eggs. The WonderBugs learned about all the different animals that lay eggs from birds to bees and even the Platypus. The class began with the famed Wonder Bugs song and, before trekking out to the pond, the kids learned a new egg-themed song. On the trail to the pond the Wonder Bugs were challenged to an egg hunt and they found some of their own treasures in the pond. After the kids rounded up a leech and a damselfly, they had an “egg race” around the brush pile. Everyone finished up with egg painting, a matching game and more music.